Digital motorcycle helmets may actually help inform the development of self-driving cars because there are so many motorcycles in use in developing countries and the helmets can be deployed now. Let’s Innovate has designed a helmet that will call emergency services and text your relatives if you fall off your motorcycle. If a rider falls off the bike, the helmet automatically notifies emergency services nearby using its GPS. It comes equipped with Bluetooth, speakers, a heart rate sensor (which measures the heartbeat from the head via a blood oxygen sensor), and a dashcam.The company (also) plans collect data and sell it to third parties, such as advertisers. In Pakistan, it is not uncommon to see large families, including children, piled up on a motorbike. Three percent of households have cars, but 43 percent of households have motorcycles, according to the Pew Research Center. The reality is that most Pakistanis cannot afford to buy a car, and motorcycles are a relatively inexpensive alternative. Yet motorcycle accidents are frequently deadly. An Islamabad startup called Let’s Innovate has designed a helmet that will call emergency services and text your relatives if you fall off your motorcycle. The helmet is currently in closed beta testing and the creators hope to put it on the market by mid-2018. But in Pakistan, where only 10 percent of all riders wear helmets, the company will face an uphill battle in convincing people to switch over. Over the last 10 years, both road accidents and motorcycle sales have been on the rise in Pakistan. It is estimated that 15 people a day die in traffic accidents across the country. Among those killed in traffic accidents in the first six months of 2017, 83 percent involved motorcycles. This helmet, known as the HELLI, was created by Waqas Khalil, Ali Syed, Awais Azhar, and Syed Abdullah at Let’s Innovate. If a rider falls off the bike, the helmet automatically notifies emergency services nearby using its GPS. It comes equipped with Bluetooth, speakers, a heart rate sensor (which measures the heartbeat from the head via a blood oxygen sensor), and a dashcam on the front of the helmet. It’s also designed to withstand Pakistan’s monsoon rains. “If you fall off the bike, it sends a text message to your next of kin and calls an ambulance,” said Khalil, who is 30, in a phone interview from Islamabad. While only 21 percent of Pakistanis have access to mobile data, 67 percent of the population can access a cell phone. To address this issue, HELLI does not rely on mobile data. It instead connects to the phone via Bluetooth and calls the number you have saved in the app. HELLI also plans to collects data about larger driving trends in different regions. “We build anonymous data points. We will be able to see how people drive on different roads in Pakistan, high congestion areas and which roads are particularly dangerous,” said Khalil. These trends can eventually be shared with insurance companies as well as government agencies. The company does not plan to share the personal identity or information regarding specific HELLI users, other than in situations where a rider’s location is needed in the event of an accident where government rescue services may be needed. “We plan to use different parameters such as speed, location, and points of navigation to analyze driver data,” explained Syed, who added that users will be presented with a license agreement before the helmet can be used with the app. 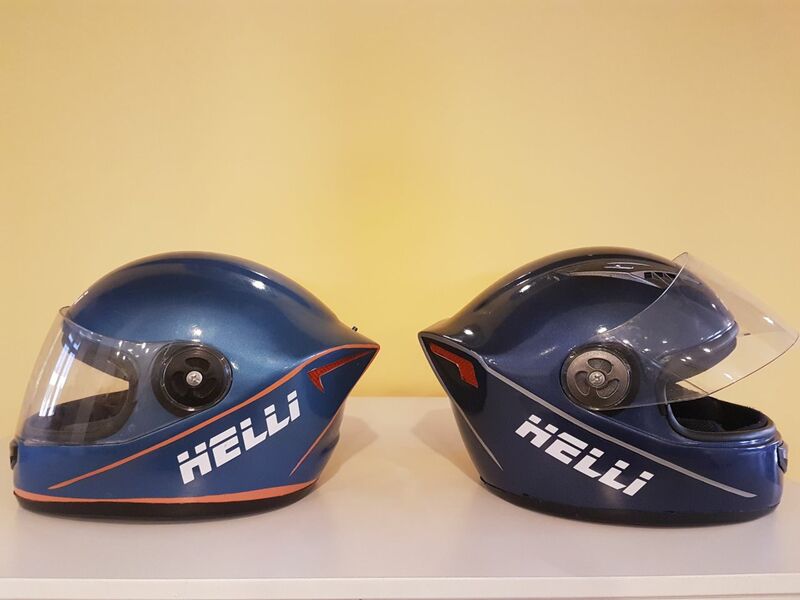 In Pakistan, the challenge for HELLI is to convince customers that a helmet is necessary at all, which is why part of HELLI’s launch budget is dedicated to awareness campaigns. It will cost between $50 to $99, depending on the features in the helmet, which is a competitive price. The plan is to start in big cities like Islamabad and work their way into smaller places. “I believe making people care about safety is going to be our biggest challenge. Right now, most helmets in Pakistan are filled with sand. No safety standards are followed,” said Syed, who is 30. Even if a person buys the helmet and it works as intended, ambulance response times in Pakistan are long. One study published in 2010 found that only 30 percent of patients reached the emergency room within an hour, while the average delay from injury to hospital was 4.7 hours, which raises the question: How effective can the HELLI truly be if the infrastructure it relies on is weak? The concept of a smart helmet isn’t entirely novel. In 2013, Marcus Weller started an Indiegogo campaign for a digital helmet known as Skully. The high publicized crowdfunding campaign raised over $2.4 million, suggesting a strong demand. At over a $1,000 for a helmet, about 3,000 units were ordered but fewer than 200 were delivered due to delays and internal problems in the company. In 2016, Skully officially shut down its Silicon Valley headquarters and filed for bankruptcy. 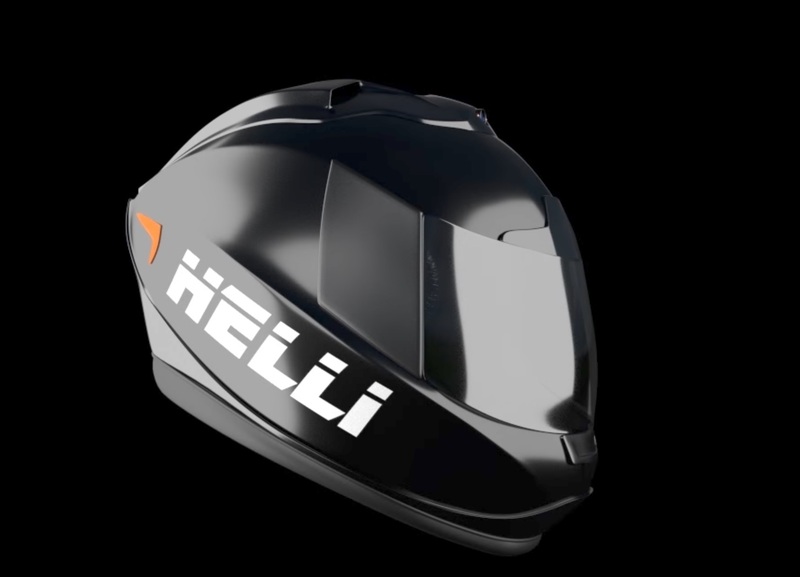 The demand for Skully, at about ten times the price of the HELLI, suggests a strong market for a digital helmet in North America. With recent news that Skully is coming back from the dead, and with HELLI trying to build its customer base in Pakistan, both helmets may just hit the shelves around the same time.